BERLIN: Former NSA contractor Edward Snowden claimed in a new interview that the US agency is involved in industrial espionage. In the interview aired Sunday night on German public television broadcaster ARD, Snowden said if German engineering company Siemens had information that would benefit the US, but had nothing to do with national security needs, the National Security Agency would still use it. It wasn't clear what exactly Snowden accused the NSA of doing with such information, he only said he didn't want to reveal the details before journalists did. Snowden also told ARD television that he was no longer in possession of any NSA documents, because he had passed them all on to a few selected journalists and that he had no further influence on the release of the files. He also said US government representatives wanted to kill him, according to a simultaneous German translation by the station. Snowden referred to an article he had read on Buzzfeed in which US government representatives had told a reporter that they wanted to kill him. Snowden, wearing a white shirt and black jacket, also chatted about his childhood and said he'd always been fascinated by computers and was one of those kids whose parents would tell him late at night to finally turn it off. Hubert Seipel, the reporter who talked to Snowden, said he first met him in Moscow at the end of December and conducted the interview on Thursday. He said Snowden was studying Russian, but that he couldn't confirm any further details about where exactly he met Snowden or whether he is working for a Russian Internet company, as some media have previously reported. 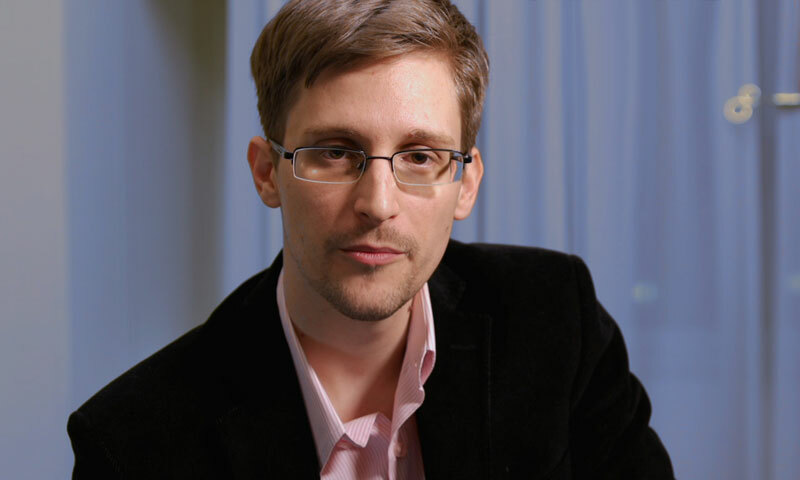 Snowden faces felony charges in the US after revealing the NSA's mass surveillance program. He is living under temporary asylum in Russia, which has no extradition treaty with the US. The revelations about US surveillance programs have damaged Washington's relations with key allies, including Germany following reports that the NSA had monitored communications of European citizens, even listening in on Chancellor Angela Merkel's cellphone.